2018 Ford Transit Passenger Wagon for sale serving Vero Beach, Satellite Beach, Merritt Island & Rockledge, FL 1FBZX2ZM4JKA20296 - INFINITI of Melbourne. 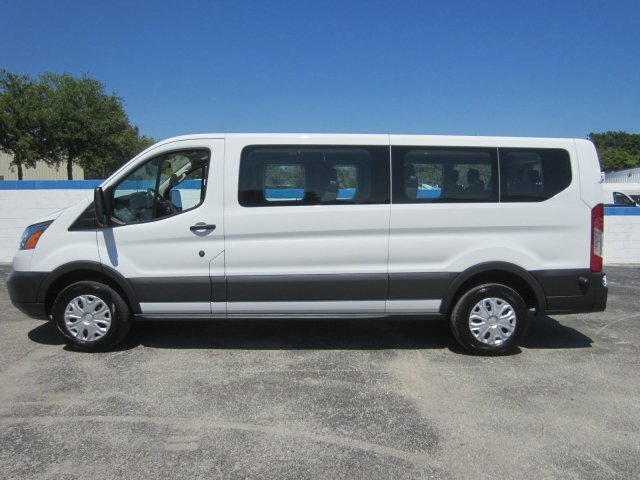 Check out this 2018 Ford Transit Passenger Wagon XL before someone takes it home! *This Ford Transit Passenger Wagon Is Competitively Priced with These Options * Wheels: 16" Steel w/Black Center Hubcap, Wheels w/Silver Accents, Vinyl/Rubber Floor Trim, Vinyl front bucket seats, Variable Intermittent Wipers, Urethane Gear Shift Knob, Transmission: 6-Speed Automatic w/OD & SelectShift -inc: auxiliary transmission oil cooler, Transmission w/Oil Cooler, Tires: 235/65R16C AS BSW, Tailgate/Rear Door Lock Included w/Power Door Locks. * Visit Us Today * Come in for a quick visit at Kelly Ford, 776 Magnolia Ave, Melbourne, FL 32935 to claim your Ford Transit Passenger Wagon!